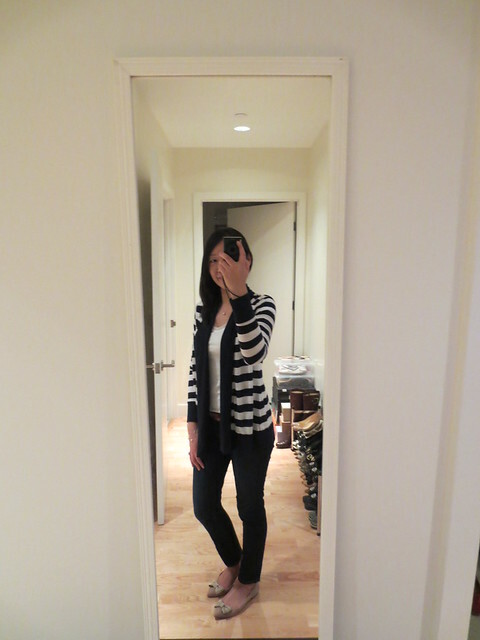 Here is a quick review on my haul from Banana Republic’s 40% sale (10/27-10/28 in stores only). Did you get anything or are you planning to visit in store to check out the sale this weekend? I’ve been on the lookout for this scarf since I first spotted it in tan at end of July on BR’s IG account. I’d love to get it in tan too but I loved the navy more. It also comes in a burgundy color. Aside from the great color selection it’s also a bigger size so it makes it easier to tie in fun knots. I usually wear petites but I purchased this in regular XS. I think the sleeves and length are already petite friendly on me. 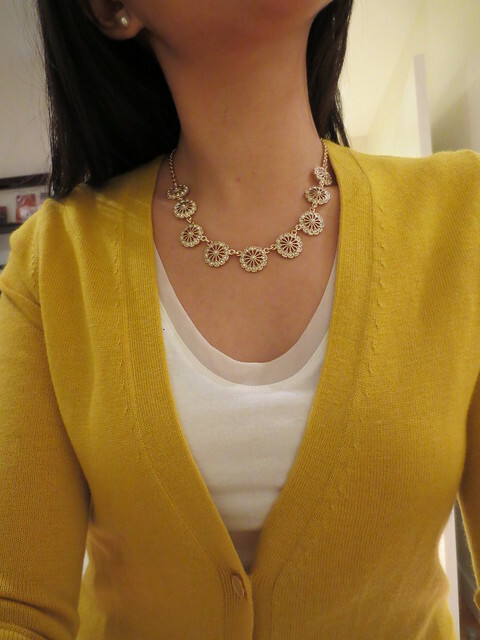 This necklace appears to be an older item since I noticed that another Pinterest user pinned it 25 weeks ago. 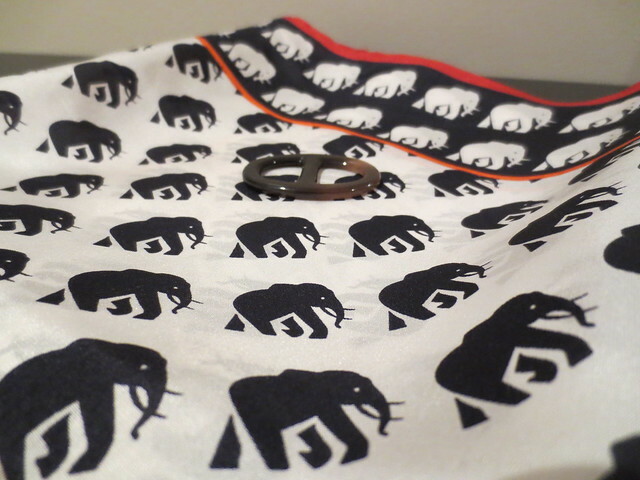 From my experience rayon clothing can shrink a bit even if you wash in cold water and air dry. If you have any care tips (aside from dry cleaning) please share! This is so cozy and I love the drape so much even though this pictures is meh. 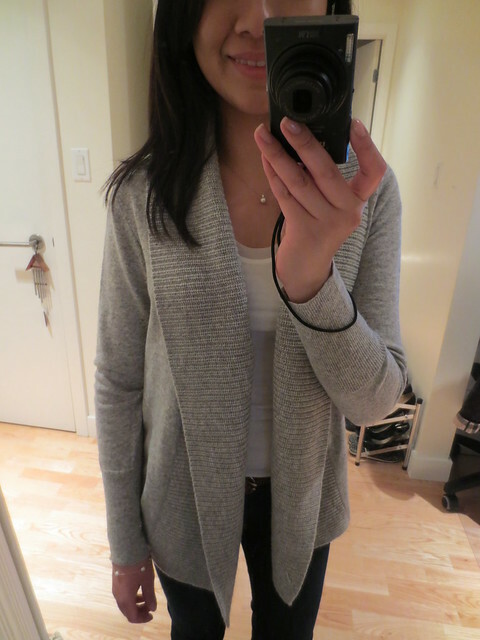 I originally tried it on ivory but I found and preferred the grey color. Super comfy flats! I can’t say enough good things about these babies. Purchased all in sz 7 and I think they fit TTS. It feels like you’re walking on Cloud 9. 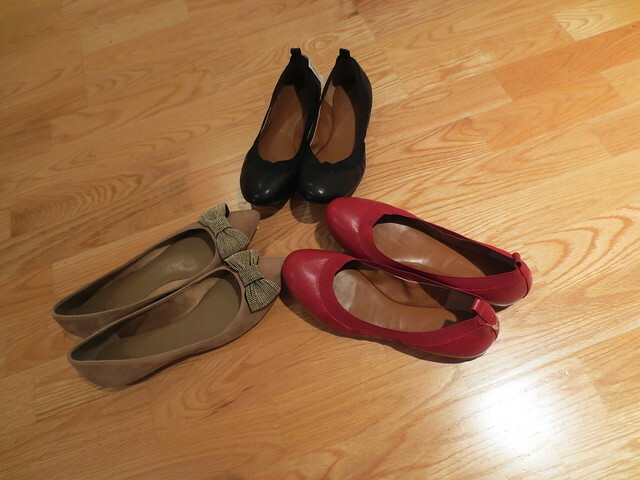 I have foot/ankle issues so I try to wear flats over heels if possible. These are also my first pair of red shoes ever! It was very busy/crowded in the Copley store due to the sale so I ended up grabbing a few things that caught my eye (including a very shiny/pretty necklace) before checkout. I always try on what I pick in the comfort of my own home to make sure they are keepers. I’d love to know what you think. Do you think I should keep them all? In full disclosure, I caved today since there was no limit on the number of items you could purchase. However, I probably should have waited to buy some of the newer items. I’ve been sitting on a stackable 20% off coupon (click here to see why I received this special code) and I anticipate a 35% off sale across all three Gap Inc. stores (this usually happens some time in November). Combined with the stackable coupon my total savings would be close to 50% off. As an aside, all pictures from today’s post were taken with the Canon PowerShot ELPH 110 HS (‘free’ after trading in our credit card points). Based on today’s use, I think it takes such nice pictures that I don’t have to edit them which is a bonus for me because I’m a lazy picture taker. e.g. Uploading them from the camera to my computer to online is already too much work. Next Post Extra crispy. Read all about it! Okay let's try this again….was so mad my comment this morn from my iPhone got deleted. Great haul Jess. I love everything you got- are you keeping everything? 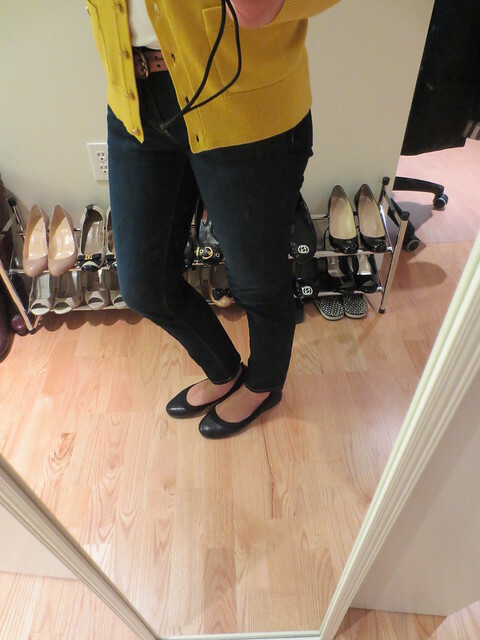 My favorites have to be mustard cardi, scarf, bow flats. It's so funny- when BR posted those flats on IG- I was going to tag you because I thought they were so adorbs! Please demonstrate how to do your scarf like that! Oh I forgot and I love the pinwheel necklace- sooooo cute!!! 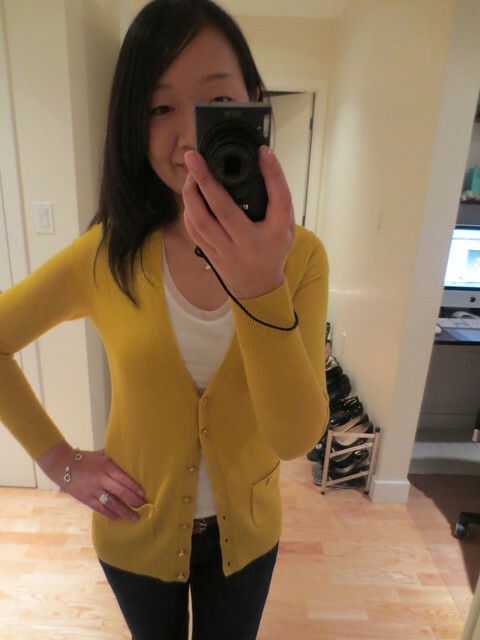 Ilove the mustard cardigan. My sister has one and I always love it on her. Greatfit for a "regular" size. 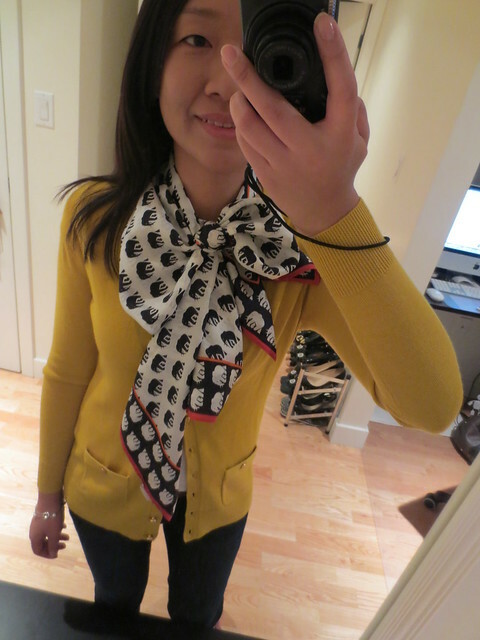 Love how much fun you have with scarves!I'm also loving that gray sweater! Good choice on the color! My fave flats arethe ones with bows. So cute! 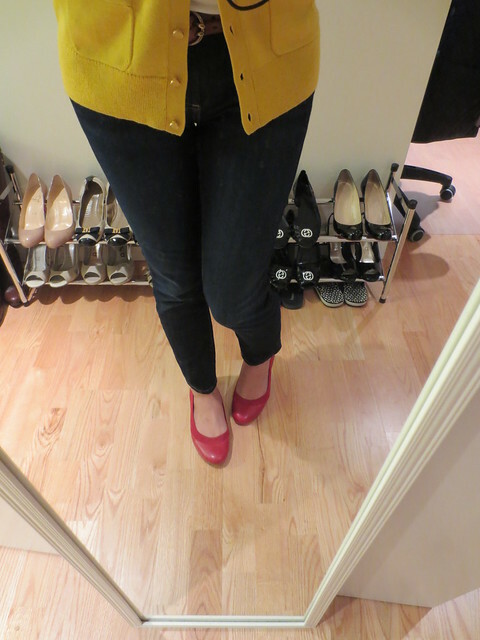 Great pair of simple red flats too! I trust you since you saw them IRL! 🙂 I'm giving myself until Saturday to think about it.